Canfor’s Don Kayne says the company remains committed to BC despite recent curtailments, and their Swedish acquisition reflects customer needs. In other Business news: Northern Pulp may not meet its waste treatment deadline; GP’s new Alabama mill is up and running; Resolute has a new CFO; and construction prices are up despite lumber’s fall. In Forestry news: drone video of California’s devastation is resulting in calls to treat wildfires like fires; more acceptance of pyrosilviculture; and fire buffers. Elsewhere: America celebrates Recycling Day; NJ Senator Sweeney joins call for code changes that restrict light-frame construction; and BC loggers help rescue a log truck driver in the Cariboo. Finally, martini drinkers may want to stock up as a tree disease is causing an olive crisis in Italy. Canfor Corp. CEO Don Kayne said Thursday the lumber and pulp and paper producer remains committed to British Columbia despite the company signing a deal to buy a majority stake in a Swedish sawmill company. Kayne said the majority of Canfor’s production continues to be in BC and the company will remain headquartered in Vancouver. Canfor has reach an agreement to buy 70 per cent of Vida Group for about $580 million. The privately-held company has nine sawmills in southern Sweden with an annual production capacity of 1.1 billion board feet. Despite the moves, Kayne said the company still remains committed to B.C., where he said the majority of Canfor’s production is still based. …”But our customers are growing and we need to keep pace with them and frankly, that’s the simple fact. …Vida also has nine value-added facilities that include premium packaging, modular housing, industrial products and energy. Lumber production in Houston is already being curtailed following Canfor’s recent announcement. Canfor announced Nov. 1 that lumber production in B.C. would be reduced over the fourth quarter of 2018 through a decrease in operating days. This will be achieved through immediate short-term curtailments at some facilities, along with extended downtime at Christmas. Canfor’s sawmill did not run last week, affecting most of its 319 workers. The mill will also be down on Nov. 16, 23 and 30, 2018. “We are curtailing our operations over the short term due to log supply challenges following another difficult wildfire season, uncompetitive log costs and declining lumber prices,” said Michelle Ward, a spokesperson for Canfor, last week. The courts could ultimately end up deciding whether the province is on the hook for Northern Pulp’s lost profits if the mill is forced to idle in 2020. On Wednesday Northern Pulp acknowledged that it may not have its new effluent treatment facility operating by Jan. 31, 2020, when provincial legislation forces the closure of Boat Harbour. “The effluent treatment facility itself, the on-land portion, we anticipate being complete by the deadline,” said Kathy Cloutier, director of corporate communications for Northern Pulp owner Paper Excellence. “The discharge outfall is where we face delays.” That outfall, where the mill will pump about 85 million litres of treated effluent daily into the Northumberland Strait, has been a bone of contention. The Pictou Landing First Nation and associations representing some 3,000 fishermen from Nova Scotia, New Brunswick and Prince Edward Island have all said they will stop any effluent entering the strait. A controversial pulp mill in northern Nova Scotia is facing delays with its new wastewater system, making it likely to miss the provincial deadline of January 2020 to stop using a polluted lagoon. The Northern Pulp mill has been sending untreated effluent to a First Nation reserve for more than half a century, something the province’s former environment minister called one of the worst cases of environmental racism in Canada. Under provincial legislation, the kraft pulp mill has less than 15 months to overhaul how it processes wastewater. Kathy Cloutier, a spokeswoman for Paper Excellence Canada, which owns the Abercrombie Point mill, says the setback is due to a delay with a pipeline. MONTRÉAL – Resolute Forest Products Inc. today announced the appointment of Remi Lalonde as Senior Vice President and Chief Financial Officer. 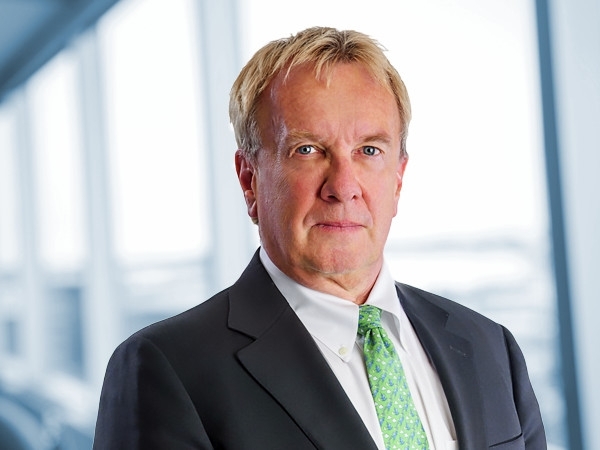 Mr. Lalonde succeeds Jo-Ann Longworth, who will be retiring after a distinguished career, including the past seven years as Senior Vice President and Chief Financial Officer at Resolute. Mr. Lalonde had been serving as Vice President, Strategy and Corporate Development, since May 2018. Previously, he was General Manager of Resolute’s pulp and paper mill in Thunder Bay, Ontario. Before taking a leadership role in operations, Mr. Lalonde was Treasurer and Vice President, Investor Relations. He initially joined the company as Senior Counsel, Securities, following six years at Sullivan & Cromwell LLP in New York. Mr. Lalonde holds bachelor’s degrees in both law and civil engineering from the University of Ottawa. When Caroline Hurtubise walks across the shop floor, you just might hear a metallic tinkle. It’s … the sound of expensive millwright tools dangling from her work belt. …Hurtubise doesn’t act like it is anything special, but she is a certified Red Seal millwright, meaning she can pretty well walk into any industrial job site in Ontario, do whatever it takes to keep the plant running and get the top wages. It took her 10,000 hours of hands-on training followed by a written exam to achieve that. Hurtubise is back in her hometown of Timmins now working at the EACOM Timber sawmill, the largest and longest-running sawmill operation in the city. …EACOM said Hurtubise is not the first woman to work in the Timmins plant, but they were pleased to say she is the first female millwright there, especially since Canada has just celebrated National Skilled Trades and Technology Week. The Bureau of Labor Statistics (BLS) released its producer price index report for October. It showed that overall prices for processed goods for intermediate demand were up by 0.8 percent from September after two months of no change. Prices in October were 5.9 percent higher than a year earlier, in line with the rise seen last month. 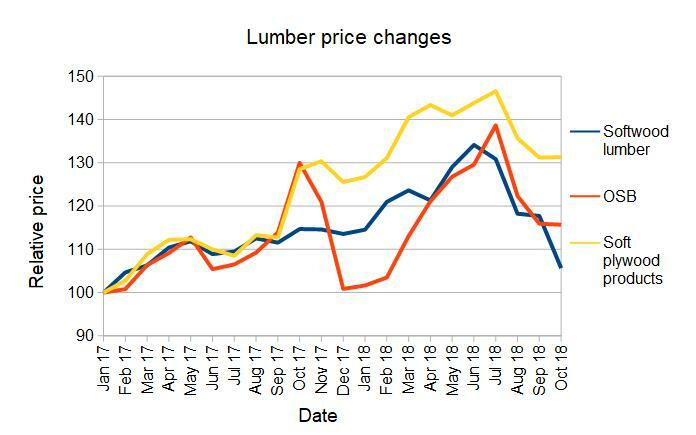 …The chart illustrates the price changes for softwood lumber, OSB and soft plywood over the past year and a half relative to their prices in January, 2017. It shows that these lumber prices are well off their recent peaks. The chart also makes clear that the large percentage decline in the price of OSB on a year-over-year basis listed in the above table is as much due to the spike in its price a year ago as it is to the recent drop in its price. WASHINGTON — Amid scrutiny stemming from fresh revelations of rampant discrimination, bullying, retaliation and sexual misconduct at the U.S. Forest Service, the agency’s new chief pledged Thursday that she will “do everything in my power to put us on a path to no harassment.” Vicki Christiansen acknowledged to a congressional panel that the Forest Service is in need of a culture change. She pledged to enact new systems and overhaul existing processes to ensure a safe and functional work environment. …Christiansen on Thursday discussed progress made, and laid out her plans to further reform the agency. She said the agency has updated its anti-harassment policy and hired outside contractors to investigate allegations of sexual harassment. Additionally, Christiansen said the agency has created a Work Environment and Performance Office and plans to establish a victim advocacy and support structure. TALLADEGA, Ala. — Today, Georgia-Pacific celebrated the official start of production at its newest lumber facility in Talladega, Alabama. The $100-million, 300,000-square-foot, technologically advanced plant took nine months to complete. The plant currently employs more than 130 full-time employees and will generate an estimated $5 million in annual payroll. …”Georgia-Pacific’s new lumber facility in Talladega is the company’s eighth location in the state, which further shows that Alabama is a great place to do business,” Governor Ivey said. “Our amiable business climate and unparalleled workforce are why notable companies like Georgia-Pacific continue to do business in our great state.” …The Talladega plant is the first of three new lumber production facilities Georgia-Pacific will be opening in the Southeast by the end of 2019. PNG is China’s single largest supplier of timber, large quantities of which come from illegal operations. A policy advisor with the environmental and anti-corruption NGO Global Witness says PNG’s government has largely failed to put the interests of landowners who depend on forests ahead of foreign logging interests. Lela Stanley said China holds the key because it purchases at least 85 percent of PNG’s annual log exports. “It’s a similar situation in PNG’s neighbour Solomon Islands. China just has this outsize purchasing power, this outsize influence in the business. “Any changes that it makes in terms of what kind of requirements it places on how timber is produced, how it’s sourced, how it’s checking to make sure it’s been done legally or not, will have a really profound impact.” PNG civil society groups have written to China’s government urging it to regulate illegal wood imports from the country. Three years ago Taranaki sawmiller Tom Boon was unsure if his company Taranakipine​ would have a secure log supply over the long term following a change of ownership of Te Wera Forest, in east Taranaki. 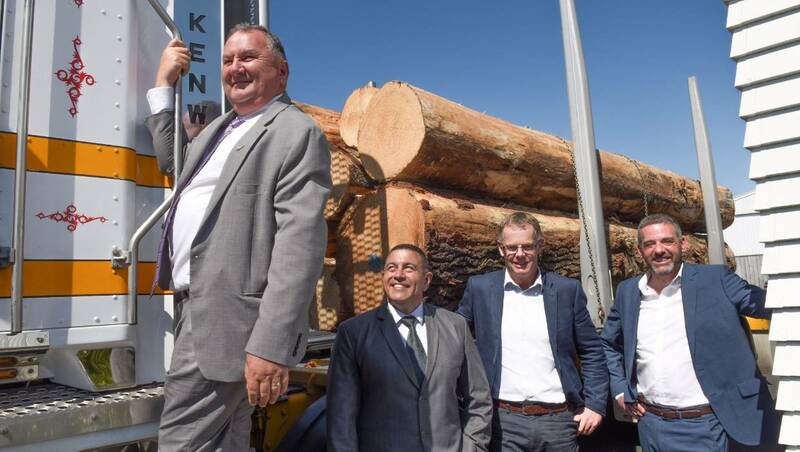 Boon’s doubts were put to rest this week when China Forestry Group Corporation (CFG), which bought the 3500 hectare Te Wera Crown Forest licence in 2016, signed a seven year agreement to supply 100,000 tonnes of logs to Taranakipine. The agreement was boosted by a $1.9 million loan from the Government’s provincial growth fund. About $1.8m of the loan would be spent on buying a new German-made fully automated processor to manufacture laminated floor and ceiling panels for export at the company’s Bell Block site, north of New Plymouth. November 15th is America Recycles Day. It serves as a reminder of the importance of recycling, the positive impact recycling can have on our landfills, and how much the recycling infrastructure has evolved over the last few decades in the U.S. Paper is one of the most recycled products in the world. Since the American Forest and Paper Association (AF&PA) began tracking paper recycling in North America in 1990, the recovery rate has nearly doubled. According to the AF&PA, the U.S. paper recovery rates have grown from 33.5% in 1990 to 65.8% in 2017, with a goal to reach 70% by 2020. Because of additional recycling, the amount of paper products diverted to landfills has decreased over 38% in the past ten years from 36 million tons in 2007 to about 22 million tons in 2017. In 2014, paper and packaging accounted for nearly 75% of all products recycled in the U.S. – more than glass, steel, aluminum, and plastics combined. Atlantic City – Senate President Steve Sweeney joined with public officials, labor leaders and fire safety professionals today in support of legislation that would change the fire code to help protect residents and firefighters from the dangers of large-scale fires in light-frame residential properties. The bill, S-1261/A-135, sponsored by Senator Brian Stack and Senator Linda Greenstein, would establish several construction code requirements and a fire watch requirement to help limit the spread of fires in larger light-frame residential buildings. “We want to make fire safety a priority in New Jersey to prevent against the vulnerabilities of combustible materials that can allow fires to spread rapidly,” said Senator Sweeney… The bill would strengthen firewall standards in all new multi-family construction. It would prohibit lightweight wood construction, which uses prefabricated wood structures, on buildings over three stories. It’s happening more and more in New Jersey. A building catches fire and by the time firefighters arrive, the structure is either completely engulfed in flames or it’s already burnt to the ground. Now, efforts are moving forward to address the root cause of the problem. Legislation has been introduced in the state Senate and Assembly that would change several construction codes and require more steel, concrete and fire-resistant wood be used instead of just lightweight wood and other combustible materials when larger apartment buildings and structures are constructed. Experts agree this would significantly slow the spread of any fire. Ed Donnelly, the president of the New Jersey Firefighters Mutual Benevolent Association, said this is really an issue of common sense. …He explained when buildings made of lightweight wood and pre-fabricated material catch fire, flames race through the entire structure and the building will rapidly collapse. For the second time in about a year, multi-billion-dollar wildfires are turning California communities to ash as fast moving flames race through tinder-dry forests and grasslands and ultimately feast on unnatural fuels. The wildfires in California last year caused about US$14-billion in insured losses. Unless we want more of the same in the years ahead, we need to better understand the issue of wildfire getting into communities. We can gain at least some improved understanding by looking at what was learned from the major urban conflagrations in history. In the distant past, several major cities have experienced large conflagrations caused by one thing or another, such as cows and earthquakes. Fires in London, New York, Toronto, Chicago and San Francisco led to many changes in how cities are designed, how buildings are constructed, and in fire education and safety. The B.C. Liberals have called out the provincial government for not doing enough in the wake of the Interior’s declining timber supply and log prices. In a news release issued November 15, Cariboo and Nechako Lakes MLAs said the local forestry industry has been “ignored.” “There are already hundreds of forestry workers out of work in the Cariboo, and I know those who are still working are very worried about their future,” said Cariboo-Chilcotin MLA Donna Barnett. “The last two wildfire seasons have been devastating and we are in desperate need of an economic recovery program for the whole of rural and northern B.C.” Forestry workers across the region have seen layoffs due to both decreased timber supply and market conditions. Most recently, West Fraser announced that it would be permanently reducing production in both its Quesnel and Fraser Lake sawmills as of Jan. 14, 2019, to better align its output with available fibre. MAGALIA, Calif. (AP) — At least 63 are now dead from a Northern California wildfire, and officials say they have a missing persons list with 631 names on it in an ever-evolving accounting of the missing after the nation’s deadliest wildfire in a century. …Authorities were making the list public so people could see if they were on it and let authorities know they were safe, Honea said. …On Thursday, firefighters reported progress in battling the nearly 220-square-mile blaze that displaced 52,000 people and destroyed more than 9,500 homes. It was 40 percent contained, fire officials said. For millennia, fires periodically burned through California forests, thinning trees, reducing shrubbery and clearing out downed branches and debris. Without periodic fire, the forests became more dense, with spaces between large trees filling in with a thick carpet of duff, seedlings and shrubs. 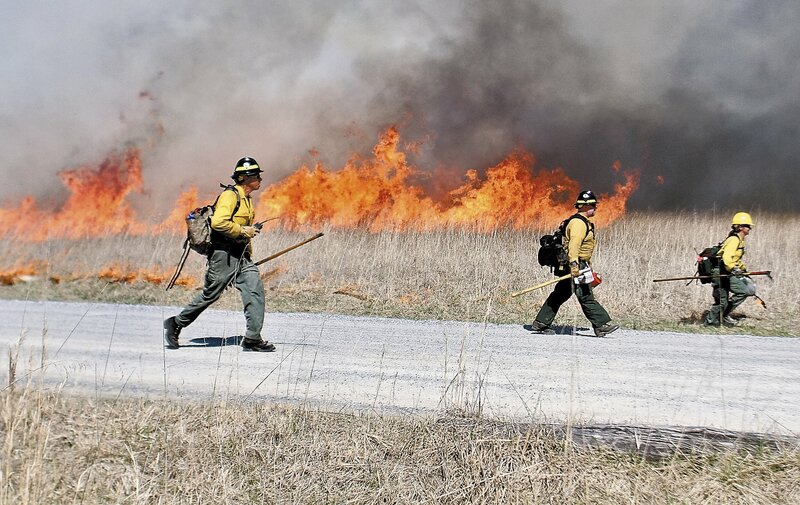 As a result, today’s forests are prone to more intense and damaging fires… These fires are … threatening large swaths of forest, towns, and even urban areas. …Making peace with fire and turning it into a useful tool, rather than a raging threat, was the objective of an October meeting in Shaver Lake of UC Cooperative Extension forestry and natural resources scientists, Southern California Edison forest managers, CALFIRE officials and U.S. Forest Service representatives. 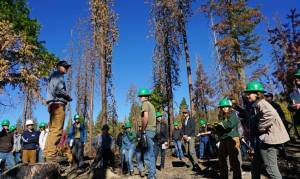 The event also raised awareness of “pyrosilviculture,” a new forest management term coined by UC fire scientist Rob York to emphasize the importance of fire in silviculture, the management of forests for wood. BILLINGS, Montana — Creating fire buffers between housing and dry brush, burying spark-prone power lines and lighting more controlled burns to keep vegetation in check could give people a better chance of surviving wildfires, according to experts searching for ways to reduce growing death tolls from increasingly severe blazes in California and across the U.S. West. Western wildfires have grown ever more lethal, a grim reality that’s been driven by more housing developments sprawling into the most fire-prone grasslands and brushy canyons, experts say. Many of the ranchers and farmers who once managed those landscapes are gone, leaving neglected terrain that has grown thick with vegetation that can explode into flames when sparked. …However, most of California’s deadly fires of recent years have been in grasslands and brushy chaparral, Keeley said. “Most destructive fires are not in the forest. Thinning isn’t going to change anything,” he said. A vicious bacterium that is devastating southern Italy’s valuable olive groves is still spreading years after it was identified, because of opposition to measures meant to contain the pathogen. 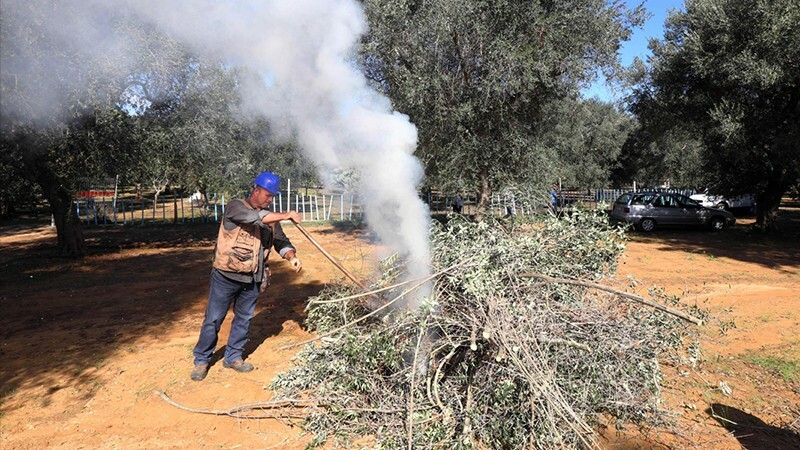 After months of inaction, authorities in the Puglia region have now resumed efforts to track the spread of the bacterium, Xylella fastidiosa, which causes a disease called olive quick decline syndrome (OQDS) that cannot be cured or eradicated. But scientists say that the delays in implementing disease-containment measures have added to the growing risk that the infection will spread out of the Puglian peninsula, the region contained within the heel of Italy’s ‘boot’, and towards olive groves in Italy’s main landmass. Continued logging in Melbourne’s water catchments could reduce the city’s water supply by the equivalent of 600,000 people’s annual water use every year by 2050, according to our analysis. We calculated water lost due to logging in the Thomson Catchment, which is the city’s largest and most important water supply catchment. Around 60% of Melbourne’s water is stored here. Since the 1940s, 45% of the catchment’s ash forests (including mountain and alpine ash forest) have been logged. There are plans to log up to a further 17% of these forests under the VicForest’s existing logging plan. …The Thomson Catchment is the only one of Melbourne’s large water supply catchments open to logging. Given the critical importance of the Thomson Catchment, our work clearly indicates the Victorian government needs to cease logging and prioritise the supply of water to the people of Melbourne. ANCHORAGE, Alaska — The first formal count of polar bears in waters between the United States and Russia indicates they’re doing better than some of their cousins elsewhere. Polar bears are listed as a threatened species because of diminished sea ice due to climate change. But university and federal researchers estimate a healthy and abundant population of nearly 3,000 animals in the Chukchi Sea off Alaska’s northwest coast, according to a study published in Scientific Reports. “In the near-term, it’s absolutely good news,” said lead author Eric Regehr, … University of Washington’s Polar Science Center. In the longer term, it doesn’t mean the Chukchi Sea bear population will not be affected. “Polar bears need ice to hunt seals, and the ice is projected to decline until the underlying problem of climate change is addressed,” Regehr said.